Download the text of this letter (cut and paste the text into your document) and use it as a framework for writing a personal letter to your own veterinarian. This letter is the work product of Jim Efron who is a member of the AKC ad hoc Delegates' Legislative Committee, June 2010. NAIA appreciates the opportunity to provide it to pet lovers who visit our site. Please use it! As a concerned pet owner, I am extremely worried that in just a few short years, I will no longer be able to enjoy life with my pets. Under the guise of “animal welfare,” animal rights groups are systematically chipping away my right to own pets and enjoy the human-animal bond. There is a huge difference between Animal Welfare and Animal Rights. Animal Welfare is a philosophy that advocates that people who keep and utilize animals have a moral responsibility to assure their well-being, and to protect them from abuse and unnecessary suffering. Animal Rights is a philosophy that advocates animals should be viewed as legal persons, not property, and that they should not be used in any way. Groups such as PETA (People for the Ethical Treatment of Animals) and HSUS (Humane Society of the United States, no direct affiliation with local humane societies) conduct major political lobbying at the state and federal levels and spend millions of dollars annually to promote their agenda and to elect candidates that favor their agenda. That agenda, while couched in terms of animal welfare, is, in many cases, designed to restrict and eliminate a pet owner’s right to own animals. Animal Rights organizations spend millions of dollars a year lobbying politicians. Breed restrictions, early spay and neuter, crop and dock bans, are all examples of legislation which limits and eliminates pet ownership, community by community, state by state. These groups feel pet ownership, livestock, food animals, hunting, medical research, zoos, circuses, rodeos, horse shows, dog shows, cat shows, bird shows, guide dogs, service dogs, police dogs, and search and rescue dogs are all “exploitation” of animals and attempt to end them. They also chip away at the rights of pet owners and their veterinarians to determine the proper veterinary treatment of their pets’ health and welfare. Laws banning ear cropping, tail docking, debarking, declawing, or enforcing early spay and neuter protocols attempt to dictate how you practice medicine. These are surgical procedures that should be decided on a medical case by case basis in the best interest of the animal patient, between you, the veterinarian, and me, the pet owner - not a politician. Animal Rights groups encourage politicians to enact both drastic and seemingly insignificant changes to current legislation. They play to our emotional, not factual based decisions. The “owner” vs. “guardian” issue is a perfect example. While on the surface, replacing the term “owner” with “guardian” in legislation seems to be innocuous, kind-hearted, and a gentler term to use, in reality, it takes away a pet owner’s property rights to own, breed, and even provide veterinary care for their pet. Once a pet owner is deemed a “guardian,” it opens the door for third parties to step in, on behalf of the pet, and override decisions made on behalf of the pet, including veterinary care. Imagine having to get permission from not only the pet owner, but a third party “guardian” whenever you recommend a medical procedure. Imagine having your medical protocol questioned in the local courts when a “guardian” decides to intercede and files an injunction on behalf of the pet to prohibit your recommended course of treatment. Continuing to allow Animal Rights groups to influence local legislation is harmful to our rights as pet owners and your rights to determine how you practice veterinary medicine. This directly affects your ability to both practice veterinary medicine and earn a living. Without a pet population, veterinary medicine would be severely limited, if not totally destroyed. As a veterinarian, and a respected member of our community, your involvement is crucial in the fight against anti-pet legislation. Two great sources of information on how to battle this type of legislation are the NAIA (National Animal Interest Alliance) and the American Kennel Club. 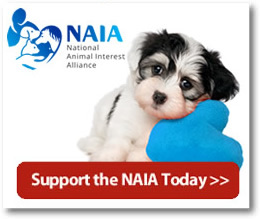 The NAIA (www.naiaonline.org) is an association of business, agricultural, scientific, and recreational interests dedicated to promoting animal welfare, supporting responsible animal use, and strengthening the bond between humans and animals. Their members are pet owners, dog and cat clubs, obedience clubs, and rescue groups, as well as breeders, trainers, veterinarians, research scientists, farmers, fishermen, hunters, and wildlife biologists. Through the NAIA and the NAIA Trust (www.naiatrust.org) whose mission is to promote the welfare of animals, strengthen the human-animal bond and safeguard the rights of responsible animal owners, enthusiasts and professionals through education, legislation and the courts. 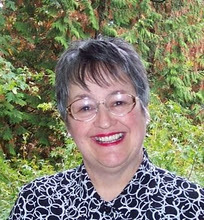 Their websites are filled with facts, figures, and sample talking points to help you become an expert advocate. The American Kennel Club (AKC) Government Relations Department (www.akc.org/canine_legislation) is dedicated to protecting the rights of all dog owners, recognizing that advocacy works best when those who are directly affected by the legislation take the lead in working with policymakers. With 125 years of experience in the study and welfare of dogs, the AKC is a leading expert on responsible dog ownership, care, well-being, and public policy issues that pertain to dog ownership. The primary role of the AKC in the area of canine public policy is educational and informational. There is a wealth of information available to you to support the fight against anti-dog legislation. Animal Rights legislation affects all of us that love our pets. Not only does it affect the pet owner, but the pet industry as a whole, including veterinary medicine, groomers, trainers, pet stores, and breeders. We can’t let the benefits of the human and animal bond be taken away from us. We must all work together to preserve our life with animals. As pet owners, we rely on you, our veterinarian, to be there for our pets’ medical needs, and to counsel us on their health and well-being. We are already engaged in this battle with the Animal Rights groups. We need your help! Grass roots efforts at the local level are what win the battles against this type legislation. Get involved. Go to your city or county commission meetings. Facts and figures coming from you, the veterinarian, create far greater impact than from pet owners alone. After all, most city commissioners, county commissioners, and legislators own pets, and trust their veterinarian. You are the expert on veterinary care. They will listen to you. Please… Get involved. Stay involved.